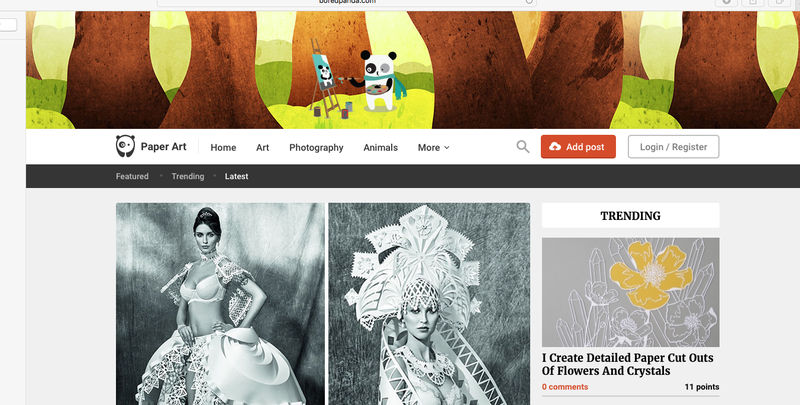 You see that yellow Buttercup and Crystals Papercut underneath the Paper Art Trending section on Bored Panda? It is one of my creation. I’m writing this not because I want to brag or boast or that I’m so full of it. This is about recording every tiny little success to keep me going with my creative work.